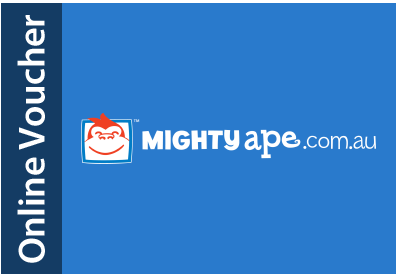 Mighty Ape is one of Australia's leading e-commerce web sites specializing in Games, Books, Music & Movies. Over 400,000 products in stock and ready to ship. Once redeemed, the credit can be used towards any purchase on mightyape.com.au. Gift vouchers cannot be exchanged for cash. Lost or stolen gift vouchers cannot be replaced.